Throughout this survey by ‘Specialist Obesity Training’ we mean any training for health professionals that is dedicated to training professionals on obesity prevention, management and treatment. * 3. What professionals is this training available for? * 4. Is specialist obesity training up to date and appropriate? Is it mandatory? * 5. Are individuals funded to do this training or are they required to self-fund? * 6. Is there formal recognition of this specialist obesity training? * 7. Are there any gaps/specific needs not currently addressed in the specialist training? * 9. Are you aware of any other specialist training available to healthcare professionals, perhaps online or abroad? If so, please could you specify? * 10. Does your country have any unique or geographic specific requirements for training modules? * 11. What obesity-related registries are available (if any)? * 12. 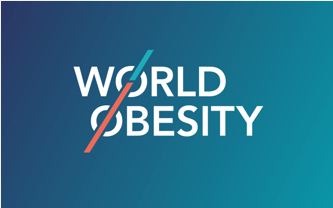 If you have any comment to add relating to specialist obesity training in your country please add it here. * 13. Would you be happy to be contacted again?